Cost to repair a boiler varies greatly by region (and even by zip code). Get free estimates from air-conditioning and heating contractors in your city. Cost to repair a boiler varies greatly by region (and even by zip code). The average cost of reparing a boiler is $175 - $600​. Boilers are an important aspect of any home, as they help produce hot water and heat the home. Most boilers last 10-15 years, with extremely efficient models lasting up to 20 years. If your boiler has been around for 10 years or more, expect to have some needed repairs, either because the system is completely broken or because it isn’t working as efficiently as it should. There are a number of possible boiler repairs, but the average cost is $175-$600. While some aspects of boiler repair can be done on your own, it is recommended to always hire a professional to repair bigger boiler issues. 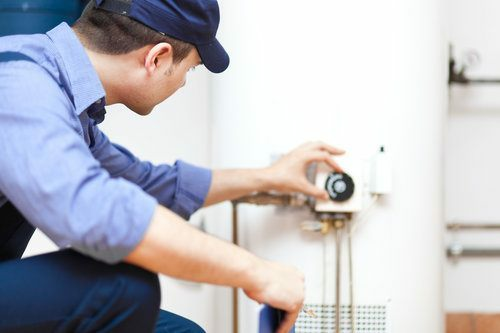 Boiler repairs are needed for a number of reasons, but the process and total cost vary depending on the type of boiler. In general, oil boilers tend to be the most expensive to install, operate, and repair. Ignitor 1 not working: when you go to turn on your boiler, the ignitor 1 switch doesn’t work, typically because the ignitor 1 switch is broken, the pilot light is out, or the system is covered in dirt and grime. DIY options for repair include cleaning the area around the ignitor 1 and the entrance to any nearby ductwork with a damp cloth, or resetting the pilot light. Professionals can also reset the pilot light or install a new ignitor 1 switch. Mineral deposits: boilers get dirty over time, especially as minerals go through the system and leave trace deposits on the machine. Mineral deposits can be cleaned a variety of ways, from a DIY conditioner that is run through the boiler and is best for smaller stains, to a professional cleaning, which is better for older or caked-on stains. Ductwork: replacing the ductwork can solve many boiler problems, including leaking, rusting, and inefficient operations. 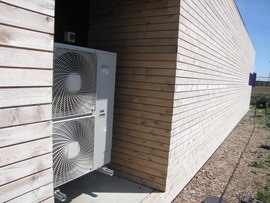 Ductwork is charged per linear foot and should always be installed by an HVAC professional. Expansion tank: these devices regulate the pressure in a boiler and may need to be replaced if the boiler isn’t running efficiency or is making clanking noises. Expansion tanks are fairly inexpensive, so it is recommended to replace them instead of spending more to get them repaired. Circulator: the circulator pump 2 rotates, switches off and controls the system. It can be either repaired or replaced, depending on the nature of the damage, which needs to be inspected by a professional. Ignitor 1 not working A new ignitor 1 switch costs $40-$60. A new ignitor 1 switch costs $25-$50. A new ignitor 1 switch costs $35-$60. A new ignitor 1 switch costs $60-$100. Mineral deposits DIY cleaning condition can be purchased for $10-$25. Professional service runs $140-$200. DIY cleaning condition can be purchased for $10-$25. Professional service runs $140-$200. DIY cleaning condition can be purchased for $10-$25. Professional service runs $140-$200. DIY cleaning condition can be purchased for $10-$25. Professional service runs $140-$200. Ductwork Replacing old or damaged ductwork averages $35-$55 per linear foot, for an average cost of $350-$550 for a 10-foot length of ductwork. Replacing old or damaged ductwork averages $35-$50 per linear foot, for an average cost of $350-$500 for a 10-foot length of ductwork. Replacing old or damaged ductwork averages $45-$60 per linear foot, for an average cost of $450-$600 for a 10-foot length of ductwork. Replacing old or damaged ductwork averages $30-$50 per linear foot, for an average cost of $300-$500 for a 10-foot length of ductwork. Expansion tank A natural gas tank averages $40-$60. 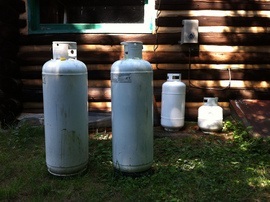 A propane 3 tank averages $30-$55. An oil tank averages $90-$130. An electric tank averages $55-$80. Circulator A new natural gas circulator costs $140-$160, and typical repairs average $50. A new propane 3 gas circulator costs $140-$160, and typical repairs average $50. A new oil circulator costs $150-$175, and typical repairs average $50-$80. A new natural gas circulator costs $150-$170, and typical repairs average $50. In some cases, HVAC specialists have a set price for the service, which includes materials and labor. However, in other cases they charge an hourly rate that averages $60-$80 per hour. Hourly work typically includes the issues above where only material costs are listed, such as a new circulator or ignitor 1 switch. In many cases, HVAC specialists offer a one-hour consultation or diagnostics appointment to find the source of the boiler problems and discuss repair options; homeowners then have the choice of how to proceed -they can hire out the repairs or (in some cases) do it themselves. Most boiler problems can be fixed in half a day to one day (4 to 8 hours, for a labor cost of $240-$640), but simpler problems (such as cleaning mineral deposits) or larger projects (such as reworking ductwork) can take shorter, or longer. Replacing parts with more energy-efficient options, especially when it comes to the expansion tank and circulator, can increase the costs by up to 20%, but should pay off in the long run with lower energy costs and a more efficient system. If your system is more than 10 years old, you should weigh the cost of repairs against simply replacing the boiler. Once a typical boiler hits 10 years of use, its efficiency begins to drop much more quickly. Investing in a new boiler could prevent future repairs and help lower your energy costs. For example, a standard electric boiler system averages $4,000 installed. The best way to avoid costly repairs is to get your boiler cleaned and inspected once a year for an average cost of $175-$225 (up to $275 for an oil boiler). This helps prevent future issues and can notify you of parts that need to be repaired or replaced before they cause more damage. An annual inspection can also prevent carbon monoxide from leaking, as the first sign of a CO2 leak is a yellow pilot light instead of the standard blue. Many companies offer repair discounts if you get an annual inspection with them and an issue still arises. Some insurance companies offer boiler insurance, although this is a much more common practice in the U.K. On average, adding a boiler to your insurance coverage costs $150-$200 per year, but it can help cover most of the cost of expensive repairs if anything were to happen. Talk to your insurance provider and electrician to see if boiler insurance is a good idea for your brand and age of boiler. Boilers that are in hard-to-reach areas, such as hidden under the house or behind a remodeled wall, are more difficult for professionals to access, which may increase the cost by 10-15%. Simply repairing a boiler shouldn’t require any permits, but make sure to check with your service provider if you are reconfiguring the ductwork or making major changes. How much does it cost to repair a boiler in my city? Cost to repair a boiler varies greatly by region (and even by zip code). To get free estimates from local contractors, please indicate yours.